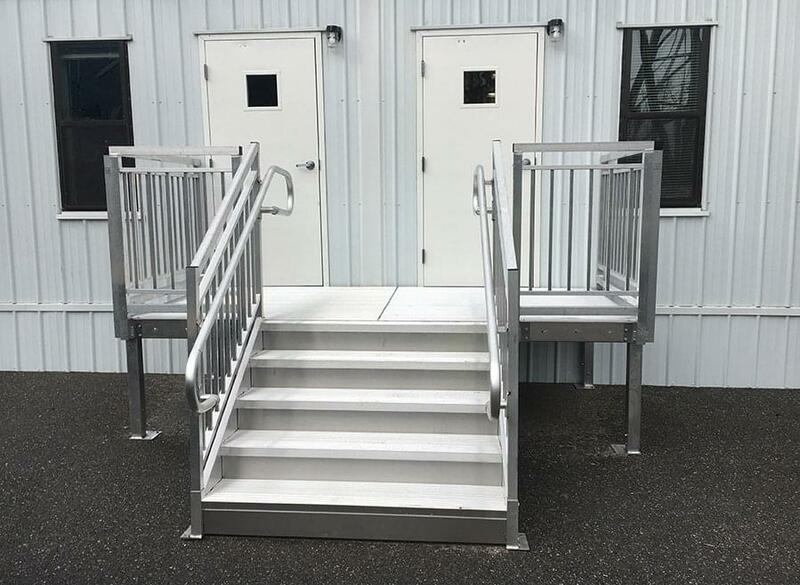 The customer required an ADA-compliant step that could access two doors that were each on separate modular buildings. 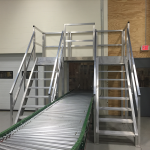 We designed an ADA step with (2) 64″ x 64″ platforms that joined together to create a common platform. The step riser could then attach anywhere along the front edge of the common platforms. 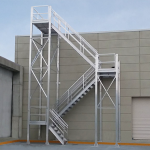 View benefits of prefabricated ADA stairs. 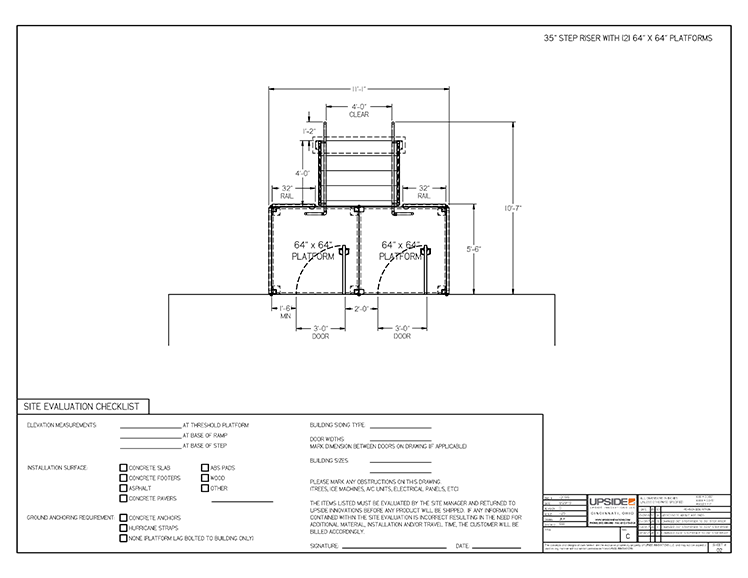 Looking to start a project like this?